Standard Eco mode automatically adjusts engine power and transmission settings for fuel optimization. Open-architecture design makes adding the grade-control system simple. 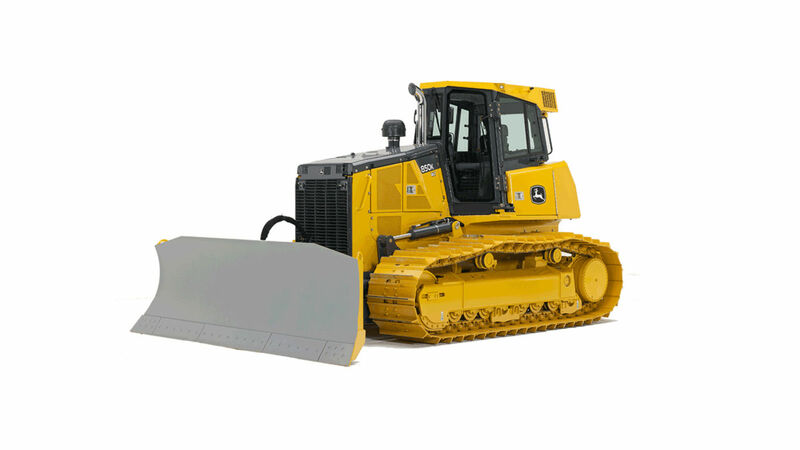 Exclusive Total Machine Control monitor allows operator to customize machine operation and response to personal preferences. Hinged engine side shields swing open wide and the front grille tilts forward for convenient access to dipsticks, fill tubes, batteries, master electrical shutoff, the backside of the cooler, and engine, transmission, and hydraulic filters. Infinitely variable range to 9.7 km/h (6 mph) gives total flexibility to match ground speed to the load. Counterrotation an operator to overcome heavy corner loads and quickly reposition the blade on the go. Provides space-saving spot turns, too. Maximum Life undercarriage features SC-2™-coated bushings, larger components and stronger seals for longer wear life compared to basic undercarriage.